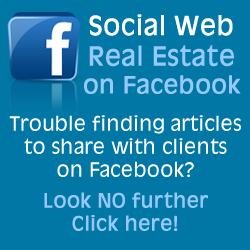 Social Web Real Estate is the brain child of Jennifer Slegg, a search marketing expert and well known presenter and speaker at many internet marketing conferences including Search Engine Strategies, Search Marketing Expo, and Pubcon. She is a regular news writer for Search Engine Watch, keeping up on all the latest changes for search engine optimization, social media marketing and content strategy. Jennifer has almost 15 years experience in search engine marketing and has been invited to special events at Google, Yahoo and Microsoft / Bing. You can follow her personal business account on Twitter at @jenstar where she tweets about all things search marketing related.